In Peru, informal recycling is often carried out by women, children and the elderly, who take reusable items from bins, dumps and landfills to supplement their income. Segregation at source and selective collection by the municipality has the potential to improve the process and thereby reduce the amount of landfill. 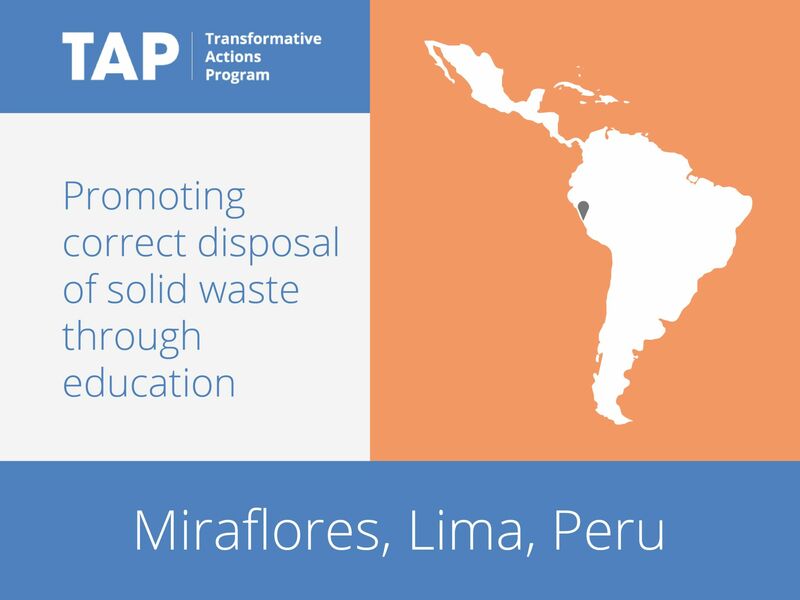 Since 2011, Miraflores has been implementing the “Garbage is not garbage” program, which promotes a culture of sustainability based on more efficient disposal of solid waste. Shows, exhibitions and guided tours of recycling plants have been used to engage citizens, and colored bins have been distributed to separate waste.